When choosing a mouthpiece, you should always make sure that the company you are working with is reputable and stands behind their product. One of the best indicators is whether the company lists an address and phone number that reaches an actual customer service representative (and no robot attendant!). You would think every product would be open about their location, but you would be surprised. Apnea Sciences provides all the information you would need to feel comfortable about ordering, in addition to the information found in my SnoreRX complete review. Apnea Sciences Corporation is an FDA medical device company founded by James Fallon in 2009. The company designs, develops, and sells sleep-related products and is headquartered in Aliso Viejo California. Its flagship product, SnoreRx, was released in 2012. Apnea Sciences is best known for their two sleep appliances, SnoreRx and ApneaRx. While SnoreRx is an oral appliance that is FDA cleared for the reduction of snoring and can be purchased anywhere, ApneaRx is intended as a treatment for mild to moderate sleep apnea and requires a physician’s prescription in the US. Apnea Sciences is a registered medical device company, which means that the company must meet rigorous standards by the US Food and Drug Administration to ensure its products are safe and effective for the general public. All snoring mouthpieces available in the US are classified as medical devices must be registered with the FDA, list their products, and be subject to regular audits. Unfortunately, many of the anti snoring mouthpieces that are available online today do not comply with federal regulations. It is critical to evaluate whether the product you purchase is FDA registered to ensure you are protected. SnoreRx is also a Doctor Trusted product. It was reviewed by Dr. Daniel Hanley out of Chicago, Illinois, and was issued a certificate on November 5, 2013. DoctorTrusted.org is a popular consumer production organization that evaluates science-based health claims, ethical pricing and return and refund policies. SnoreRx received an A rating. 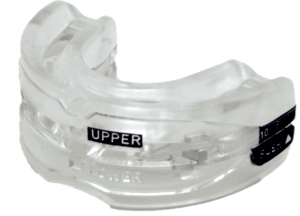 Company History: Apnea Sciences was founded in 2009, and launched SnoreRx in 2012.